New York’s decision to ban the controversial mining practice makes it the second state in the country to do so. 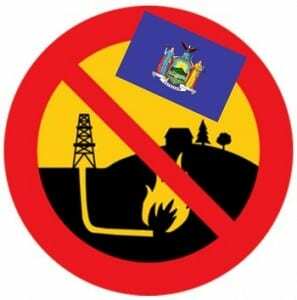 Last week, after a report concluded that hydraulic fracturing posed health risks, Governor Andrew Cuomo’s administration decided to outlaw fracking in New York State (a decision that took a long time make, as there has been a moratorium on the oil and gas extraction method in the state since 2008), making New York and Vermont the only two states in America to have completely prohibited the mining practice. There is not enough evidence to conclude the extraction process is safe. Fracking has been a subject of hot debate in New York for several years, with some arguing that drilling for gas is important for the economy and others arguing that the practice is hazardous to health and the environment. That being said, New York is home to a portion of the Marcellus shale, which happens to be one of the biggest natural gas deposits in the country. As such, banning hydraulic fracturing is a huge blow to oil and gas companies that have literally been waiting for years to drill into the land they have leased, which spans thousands of acres. Although environmentalists are celebrating the fracking ban, not everyone is happy. It isn’t only energy companies that are not pleased with the ruling. According to the Guardian, farmers in the state, particularly those who live in the Southern Tier, like apple grower David Johnson, are devastated by the news. Johnson said that he’s very concerned about how he will manage to keep up his farm that has been in his family for 150 years. Johnson explained that the money that would come from drilling would help to keep struggling farms, like his, in business and would help to create new employment for the upcoming generation. In spite of the fracking ban, energy companies intend to still fight it. “We are resolved to continue to fight for these benefits in New York,” Moreau stated.